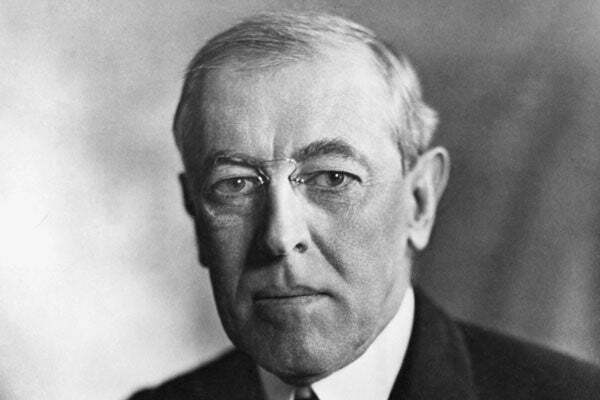 Woodrow Wilson came to Washington in 1913, and he never left. He’s the only President buried in D.C. He became the first President since John Adams to personally address Congress, thus creating the spectacle that grew into the modern State of the Union address. And we’re all still living under an administrative state Wilson envisioned in his scholarly writings and helped to expand during his presidency. In that vein, it’s fitting that the first paper in a new series from The Heritage Foundation brings the fascinating Wilson to life by detailing his personal as well as professional history. The “Makers of American Political Thought” series will include essays on many of the Founding Fathers, of course. But it will also focus on important leaders who took the country in the wrong direction. Wilson did. The 28th President triggered a progressive revolution. “Much of his scholarship is devoted to a radical reinterpretation and critique of the political theory of the Founding,” Professor Ronald J. Pestritto explains. Along the way, Wilsonian thinkers have called themselves “progressives,” “liberals” and, these days, “progressives” again. But while the labels have changed, the goal hasn’t. He delivered. “Wilson is in no small measure responsible for launching the discipline of public administration in the United States and for articulating the principles behind the modern administrative state with its sprawling web of agencies,” Pestritto writes. To reach his goal, Wilson realized he’d need to discard the written Constitution and Declaration of Independence in favor of an evolving set of rules and standards. He succeeded. For while those founding documents still exist on paper, Washington is really run by a fourth branch of government: unelected bureaucrats. These “experts” combine the powers of all three branches of government. They make the rules (legislative), interpret the rules (judicial), and enforce the rules (executive). The groundwork for the 2012 election was laid a century ago. When Theodore Roosevelt broke away from the Republican Party in 1912, he was calling for a progressive revolution in politics, economics, and civil society. In the years since Wilson delivered TR’s promise, no President has been able to put that genie back into its bottle.